Hurry up! Our call for projects ends July 6th. 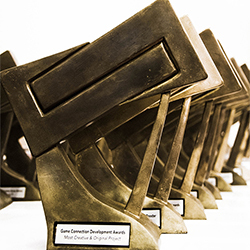 You’ve got less than 3 days left to submit your games for the Game Connection Europe 2018 Development Awards. Get your game promoted to over 2700+ industry professionals (including hundreds of publishers and distributors looking for new games) both before, during and after the event. Don’t miss the deadline – submit your projects here.